Another in the tremendous addition to the 1824 Travel Retail Collection, this bottling is a bit of a blast from the past from Macallan. Bottled at the old-style British 80 Proof, this translates as 45.7% ABV in today’s money. The spirit has been matured in Sherry Seasoned Hogsheads after production at the Speyside giant’s distillery. 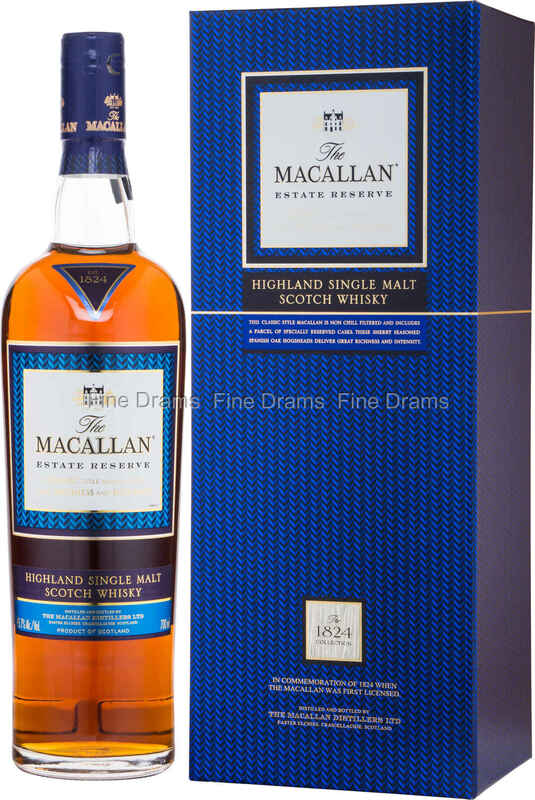 It is classic Macallan to its core, with a wonderful sherried dried fruits and spices throughout. This whisky is free from any artificial colouration and chillfiltration, allowing the whisky’s beautiful flavours to shine through. This bottling is presented with handsome metallic blue box. One that will satisfy the distillery’s many fervent fans.